In India, more than seventy-five percent of road accidents happen due to human error or carelessness. ... for safety ultimately the desire results cannot be achieved in the absence of responsible road usage. And responsible road usage at times needs to be encouraged by family members. My prayers and best wishes for more and more daughters of the truck driver's community to make their dreams a reality and leave a stamp of class and courage, by forging ahead against all odds. Come Home Papa is a very important campaign. We need to follow safety measures because it is someone's family member who is getting harmed. This could be us or our family members too. Please don't drink and drive. Don't speed on the highways. Take road safety seriously. 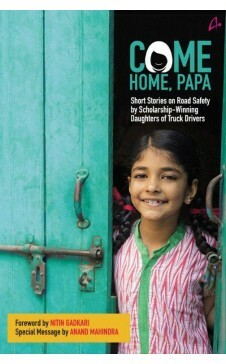 COME HOME PAPA - a, collaborative initiative of Mahindra Truck & Bus Division, Tell Me Your Story and the Ministry of Road Transport and Highways - is a collection of short stories on road safety and the challenges faced by people in the trucking profession, written by the daughters of truck drivers. 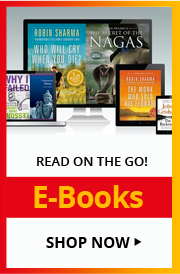 These are stories that will help build relationships between socially and economically disparate sectors, bridging the gaps with common emotions. Beautifully written stories by the daughters f truck drivers in India. The book has a foreward by Nitin Gadkari and a special message by Anand Mahindra and introduction by Koral Dasgupta. The book includes stories of - Bersha Kumari, Bulbul Khan, Rukhasar Khan, Maganti Lavanya, Anuja Suvarna, Sonali Dyaneshwar Jamadar, T. Sivasari, Shahanja Parveen, Ramija Abdulgafar Shirgruppe, Riya Dahiya, Priti Chaudhary, Jiya, Gurdeep Kaur, Talwar Kshitjia Sukhdev, D. Tejaswini, Mali Puja Shivaji, Sharmeen Praveen, Meenakshi Saini, Chiralaxmi Swain, J. Maria Asuritha Riya, Suneeta Singh, Pooja Dahiya, Yasmeen, Vatika Kumar, Prableen Kaur, Aksha Khan, Mounika Poojari, Waghamare Puja Dagadu, Bhavna Gautam, Marri Mamatha, Ayesha Begum, Tabassum Begum, Khusbu Kumari, Bharti, T. Latha, Jeevarekha Aanbalagan, Sarveen Kaur, Guntas Kaur, Konathala DOctor Vijaya Noora Aparna, Farhen Sultana, G. Archana, Gokila Priya, K.M Habiba Naaz, A. Deepa.